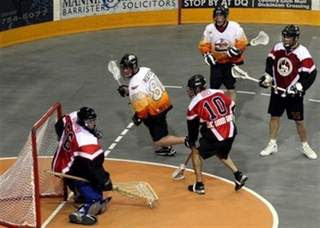 Nanaimo Timbermen are 1-1 after their Saturday 9-8 loss to the visiting Burnaby Lakers. The game was played at Nanaimo's Frank Crane Arena. They used to play at the old Civic Arena. Remember? They had won their season opener against defending league champs, Victoria Shamrocks. They defeated the Shamrocks 11-8 on the road last Friday.